In 2017, a group of Charley’s Fund supporters on New York’s Upper West Side decided they wanted to find a way to involve their young kids in Charley’s Fund. With Charley’s Fund’s support, they developed a coin collection fundraising campaign called “Small kids BIG change!” In their first year alone, the group recruited 17 families and more than quadrupled their initial goal by raising nearly $12,000. Today, they are fresh off of year two — and another super successful campaign: this year’s class grew to 40 participating kids and raised over $15,000. We sat down with co-creators Kristen and Lori to chat about the program. Check out our Q+A below to read why they’re excited about not only having their own kids involved but also helping it grow as a new way to encourage young people to learn firsthand how they can make a big difference in the world today! Answer: Small kids BIG change! is a fundraising program designed to get young children involved in fundraising for Duchenne muscular dystrophy medical research and to get them thinking about how they can make helping others an important part of their lives. Kids raise funds from family and friends through their online and offline coin jars and have the opportunity to put on small neighborhood fundraisers like lemonade stands and tag sales. There’s a lot of freedom and creativity involved — the kids do everything from coming up with new fundraising ideas to making posters and crafts to sell. Some are even able to explain to potential donors what Duchenne is and why raising money to help fund research for new treatments is so important. Kids and parents aren’t thrown in alone though. They’re provided with a welcome packet of helpful materials, goodies for the kids to get them excited, and a children’s book specially designed to teach young kids about Duchenne and how they help by participating. We think this program is so important because kids really connect with the ways that Duchenne affects the lives of the kids and families that it touches. They’re truly inspired by Charley’s courage and all of the kids living with Duchenne. And as parents, we all want our children to grow up to be the kind of grown-ups that don’t sit on the sidelines when they see someone needs help. We want them to know that being a part of a community means getting involved. If we teach our kids early that they are capable of making a big impact, even now, they will grow up to change the world. Q: What, for you, has been the most fun about being a part of Small kids BIG change! ? About seeing it grow? A: Maybe seeing it really take off was the most exciting part. Families were so committed to the drive and involved their extended families and friends. The kids had fun working on sidewalk fundraisers together and inviting their friends to come by and buy a cookie or a secondhand book. It was gratifying to meet new people who got involved through friends of friends. Also, it was great for the kids to see how incredibly generous complete strangers could be when they heard what we were doing. Q: What would you say to families thinking about getting involved? A: Well, first we would say please come aboard! For parents, we would stress that any participation, big or small, is welcomed and greatly appreciated. 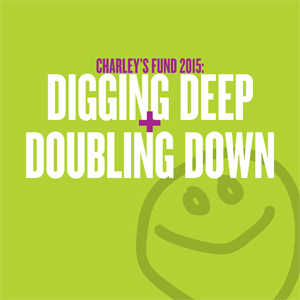 And, the idea is we and Charley’s Fund help provide the tools to make it easy to be successful. Everything can be done on your own time, and you choose the fundraising methods that make the most sense for you and your crew. For kids, we would say that everyone has a lot of fun and just because you’re small, it doesn’t mean you can’t do something BIG! Q: What is one thing your kids learned while participating in Small kids BIG change! ? A: Our kids learned that they can make a tangible difference. They learned about a disease in an unintimidating way and what they can do to help. They developed practical skills like how to talk to people about a cause they’re passionate about and how to plan for questions that might come up. They learned what goes into planning a fundraiser and even a little about marketing and how to be responsible for money. Q: The campaign has already been so successful, but what would you like the Small kids BIG change! program to look like in the future? A: We’d love to grow! We think the program could someday roll out to more cities and towns across the nation. That way, we can raise even more money to speed up research for new treatments — and help more families access this tangible way to teach their kids how to get involved and make change. So, anyone reading this who wants to get involved, please reach out – we would love to have you join the team!! 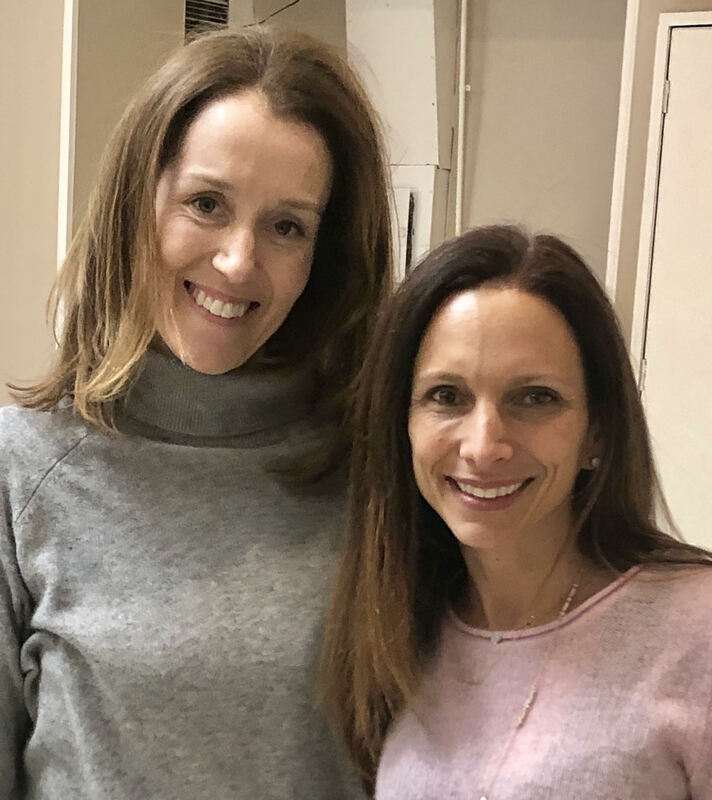 Thank you to Kristen and Lori for creating this wonderful campaign and taking the time to help share its magic with others. Inspired to get involved? Contact Stuart at stuart[at]charleysfund.org.